Every summer since its beginnings in 1971, FESTIVAL MOZAIC transforms the Central Coast of California into a hotbed of classical music culture. This July, Music Director and violinist Scott Yoo will lead a group of more than 50 artists gathered from top orchestras and chamber ensembles from around the world in performances in scenic places all over San Luis Obispo County, celebrating the 45th anniversary of this Festival. 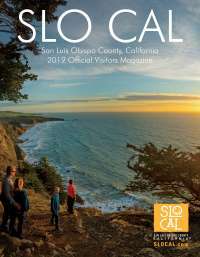 Conveniently located on the coast just off iconic Highway 1 â€“ just three hours from the Bay Area and San Luis Obispo County (or SLO, as the locals call it) has a pleasing mix of farm-to-table bistros, art galleries, boutique shopping, hiking trails and seaside activities, and of course, wine tasting. It is into this comfortable, captivating ambiance that the musicians of FESTIVAL MOZAIC will bring their international-caliber artistry, celebrating the works of composers both familiar and out-of-the-ordinary. With 20 events in 11 different venues, the Festival offers something for every kind of music lover and provides an authentic SLO experience offering the best in culinary, coastal and cultural life. The Festivalâ€™s programming is built around Bachâ€™s influence on Western art music. The 45th Anniversary Season will culminate in a unique, intra-state collaboration: the Festival Mozaic Orchestra will be joined by the Bach Collegium San Diego Chorus for two joyous performances of J.S. Bachâ€™s masterpiece Mass in B minor. This collaboration reflects a unique blend of California history and arts, as this timeless, sacred music will be presented in two sacred spaces: Old Mission San Luis Obispo and Mission San Miguel. Both historical settings were built in the late 18th century â€“ just 50 years after the Mass was compiled - and the acoustics and spirits of both venues will serve as a picturesque background for the passionate, lush music. Â·Orchestra â€“conducted by music director Scott Yoo and featuring soloists such as Kristin Lee, violin and the Bach Collegium San Diego Chorus. Â·Chamber Music â€“featuring performers like Kristina Reiko Cooper, cello, Steven Copes, violin, of the St Paul Chamber Orchestra, Robert Walters of the Cleveland Orchestra and others. Â·Fringe seriesâ€”featuring classically-trained musicians playing in innovative crossover ensembles (like the Portland Cello Project and Irish group Colcannon). Â·Notable Encounters â€“ our short-format explorations of individual pieces of music which are equal parts interactive performance and education. This summerâ€™s festival will feature players from the St. Paul Chamber Orchestra, the Cleveland Orchestra, the Los Angeles Philharmonic, the San Francisco Symphony, Chamber Music Society at Lincoln Center, the Baltimore Symphony and a host of other top orchestras and chamber ensembles from across the country. (See complete artists list on following pages). Subscription Tickets are on sale March 15. Individual tickets are on sale May 1. Tickets may be ordered online at www.festivalmozaic.com or by calling (805) 781-3009 / (877) 881-8899. About Festival Mozaic: Festival Mozaic (founded in 1971 as the San Luis Obispo Mozart Festival) is a celebration of five centuries of music that takes place year-round in varied venues across San Luis Obispo County. The Festival presents an orchestra gathered from professionals across the world, chamber music concerts, guest artists and ensembles, and concerts of classical crossover artists. For more information, please visit www.FestivalMozaic.com. The 2015 Season brochure features â€œMission Mozaic,â€ an original pastel work by Paso Robles artist Anne Laddon.